The Salute Military Golf Association aims to meld a love of country and love of golf in an effort to support the mental and physical rehabilitation programs of post-9/11 wounded and injured veterans. 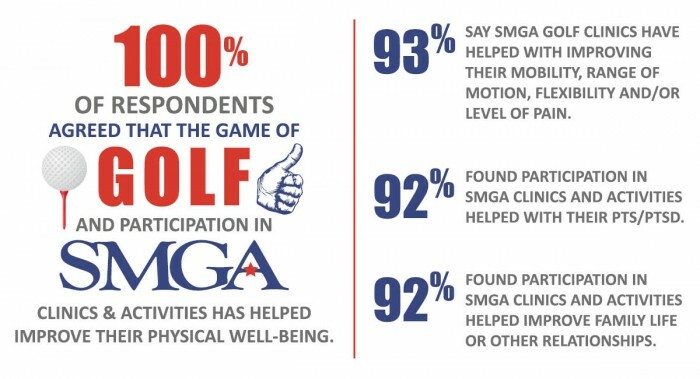 SMGA golf professionals, skilled in teaching adaptive golf, understand the unique needs of veterans returning home from service and have witnessed first-hand the powerful benefits the game of golf can provide in improving quality of life of wounded service men and women. The SMGA recognizes that when our nation’s men and women serve our country, their families do too. 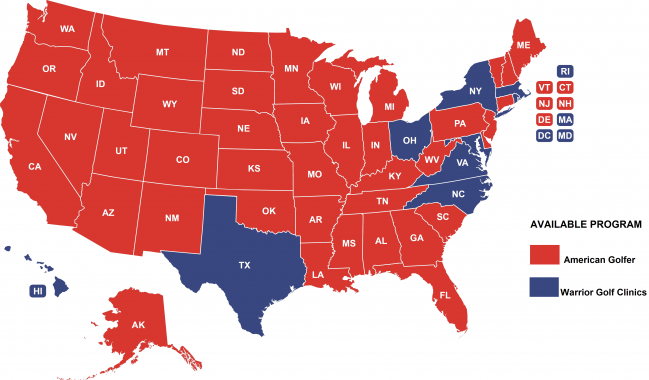 Since 2001, over 2.5 million service members deployed in support of the wars. These long deployments are often stressful for those family members left to support the family and home. Because of this, the SMGA promotes a family-inclusive golf instruction environment and encourages clinic participation from our veterans’ families. All family and caregivers can participate in our clinics at no cost.